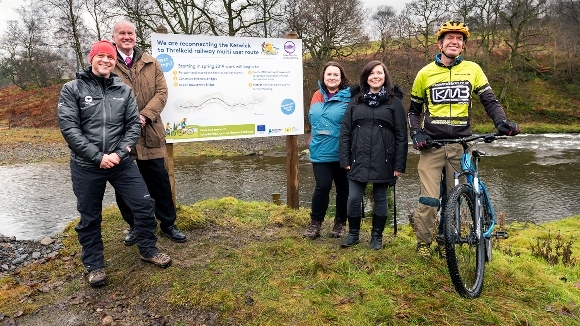 A £7.9 million funding package has been agreed to allow work to start on the final phase of reconnecting the Keswick to Threlkeld multi user trail which was severely damaged in Storm Desmond three years ago to the day (5 December). Today is an important milestone in this complex project which has required significant work to get to this stage, and it is fitting that key funding partners and local users gathered to mark this development exactly three years since the fateful storm. Funding has been approved so far from Highways England and the European Regional Development Fund (ERDF).  Additionally, community fundraising by the Lake District Foundation has resulted in a £130,000 donation all which will enable the project to go ahead. Richard Leafe, Chief Executive of Lake District National Park said: “Storm Desmond caused unprecedented amounts of damage to communities, trails and bridges across the national park. This particular trail offers a great family-friendly, traffic-free route from town to village, it will be fully accessible to many people, such as cyclists, walkers and runners. It has taken some time but we have always been fully committed to making sure that it is reconnected for the benefit of all. Construction contracts are currently out to tender and the trail construction partners will be announced in the near future. The aim is to start work in the New Year and have the route fully reopened within two years. Highways England has committed a significant portion of the funding to allow this project to progress. Bruce Parker, Highways England’s head of planning and development for the North West, said: “We’re delighted to be able to provide almost half the £7.9 million needed to restore and enhance the link between Keswick and Threlkeld, which was so badly damaged in Storm Desmond exactly three years ago and are looking forward to the re-construction work getting underway in the New Year. During Storm Desmond, on 5 December 2015, two bridges that cross the River Greta and around 200 metres of path were completely washed away during the worst floods the county has seen and Rawsome Bridge was also later closed to ensure public safety. 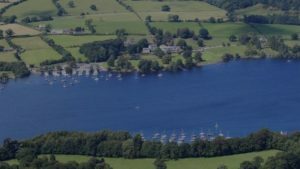 Since then, the Lake District National Park has been working with key partners from the public and voluntary sectors on a plan to fully reconnect the route. As part of this work, a value for money study was undertaken and concluded that the restoration of the route could bring back about £2 million a year to the local economy. This next phase will ensure the entire route will be reconnected and can once again be enjoyed by the local community and visitors to the area. Photo shows key partners gathered at Brundholme where work will start along with some of the locals who are looking forward to the trail being reconnected. L- R Richard Leafe LDNPA, Jonathan Reade, Highways England, Sarah Swindley, Lake District Foundation, Brittany Mason from ERDF and Amos Doran, Keswick Bikes. The Lake District Foundation has approved a grant of over £2,000 towards a project led by the West Cumbria Rivers Trust, working in partnership with Bassenthwaite Rotary Club, to enhance the habitat of Dash Beck and surrounding land. The project was first conceived by local people, and they will be fundamental to the successful delivery of the works necessary to improve the habitat of Dash Beck for a range of wildlife, particularly salmon and trout. The project will also improve the safety and accessibility of the footpath from Bassenthwaite village to the lake, benefiting the local community and visitors alike. The River Derwent, Bassenthwaite Lake’s principal river, is internationally important for its salmon and trout populations but these are currently in decline. Preliminary work shows that Dash Beck could be an excellent spawning habitat for salmon, trout and other salmonids, but is currently not reaching its potential. The project will tackle pollution inputs, reduce sediment inputs to the beck, increase in-stream habitat diversity, allow more light to reach the river bed, and will manage the riverside woodland to enhance its suitability for a wider variety of species. To achieve this, tasks will include clearing and repairing the footpath; stabilising the eroding bank with natural materials; coppicing bankside woodland to allow more light to reach the stream and increase diversity of woodland habitat; pulling Himalayan balsam; and fencing off the beck and footpath from the farmland. Other planned work includes training for landowners on the benefits of coppicing by Cumbria Woodlands. As much work as possible will be carried out by volunteers, and activities will give them the opportunity to learn about the stream and the threats it faces. 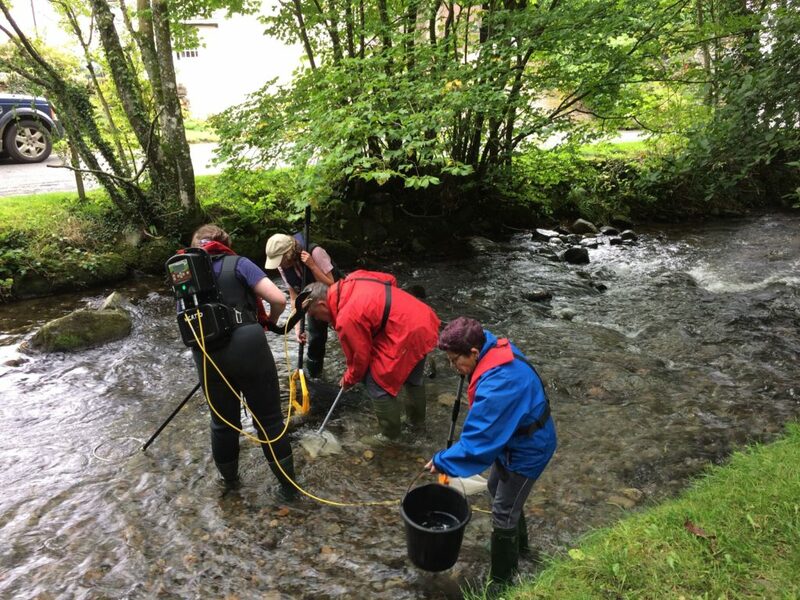 Volunteers from Bassenthwaite Rotary Club will be trained as Riverfly monitors, taking monthly surveys of invertebrates as indicators of water quality and siltation. Local volunteers will continue to walk the beck to monitor Himalyan balsam and overgrowth, and will continue to control if necessary. Work will also be carried out to maintain the footpath alongside Dash Beck down to a quiet area of Bassenthwaite lake shore, where it joins a network of other footpaths, including the long distance ‘Allerdale ramble’ trail. The project will reduce the risk of bank erosion, making the footpath safer and improving access to the lake. Dash Beck lies in the northern fells of the English Lake District, descending rapidly from its source on the north facing slopes of the Skiddaw massif over a series of cascades known as Whitewater Dash or Dash Falls, described by Wainwright as the finest succession of falls in the Lake District. The lower reaches of Dash Beck, which is where the work will be carried out, continue through a small valley of the same name, through the village of Bassenthwaite before flowing into Bassenthwaite Lake at its north-eastern corner. The last event for the Keswick to Threlkeld Railway Path fundraising campaign will be on Thursday 21st June in Fitz Park, Keswick. 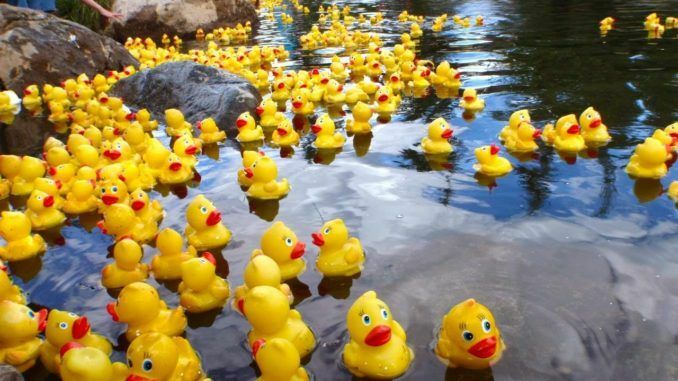 There are over 500 ducks to be launched between 6pm-8pm on the longest day of the year with the support from local Keswick Scout groups, Keswick Anglers, Lions and Rotary. Ducks are £5 and can be bought online here until midday on Thursday 21st June, at Love the Lakes, St John’s Street Keswick, or on the night. The funds raised will go towards reconnecting the Keswick to Threlkeld railway path, some parts of which were severely damaged during the floods in 2015. Two of the old railway bridges that crossed the River Greta were washed away and one bridge left at risk of collapse and around 200 metres of the path surface disappeared into the floodwaters. In December 2017 the LDNPA were delighted to announce a major funding boost to the project – a £2.5 million grant from Highways England and a partnership with the Lake District Foundation to jointly fundraise the shortfall of around £3 million. The Lake District Foundation are celebrating after hosting their first ever charity auction on Friday evening to raise funds for the Keswick to Threlkeld Railway Path reinstatement. The evening was held at the Lodore Falls Hotel and raised over £4,000 from the 19 lots available on the night and still counting. There were over 90 guests who attended the evening from all over the UK, including special guests Alan Hinkes OBE, Ricky Lightfoot and Sean Conway. PFK Auctions, one of the oldest auction houses in the region, ran the bidding on the night. 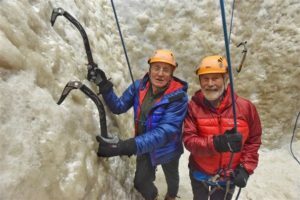 The most popular lots included a mountaineering day with Alan Hinkes, an adventure day with Sean Conway and a running experience with Ricky Lightfoot. The 3 bespoke bracelets made by Brian Fulton from Fulton Jewellers in Keswick, Alan Stones framed original lithograph and a collectors set of Lake District Pound notes also raised a significant amount on the evening. For those who were unable to make the evening, there is still an opportunity to bid for special items online at www.32auctions.com/keswicktothrelkeld until 30th June. The lots include a bespoke 70’s Herdy, a Fell Top Assessor for the Day experience, a VIP behind the scenes tour at Bremont HQ with luxury accommodation in Henley and even the chance to sponsor oaks trees with a plaque along the route of the Keswick to Threlkeld Railway Path. The exclusive money-can’t-buy experiences and prizes for the Lake District Foundation Charity Auction are now available to view below. If you would like to join us Friday 8 June at the Lodore Falls Hotel you can book your tickets here. PFK Auctioneers, one of the oldest auction houses in the region, will be running the bidding on the night and bidding will commence on the night of the auction. There are over 40 lots up for grabs all to raise funds to reinstate the Keswick to Threlkeld Railway Path. highest mountains, the fourteen 8,000m peaks. Join one of the top trail/mountain runners in the world for a run in the Lake District. The former World Trail Running Champion from the Lake District, Ricky holds the record on several iconic races across the world including Mauritius, South Africa and the Scafell Pike. Bid for a fell running experience you’ll never forget. 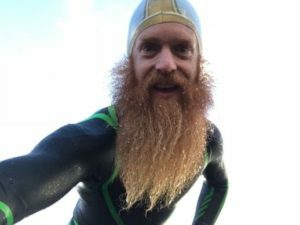 Sean Conway is best known as the first and only man in history to cycle, swim and run the length of Britain, oh and for his massive ginger beard! In 2016 he completed the world’s longest triathlon, a 4,200mile journey around the coast of Britain. Sean has just broken the World Record for cycling across Europe in under 25 days from Portugal to Russia. Join him for an adventure day in the Lake District and receive signed copies of his books. Spend the day with award winning local photographer Henry Iddon capturing shots across the Lake District using a pinhole camera and learning how to develop the images yourself. You’ll end the day with your own magnificent prints captured by you. 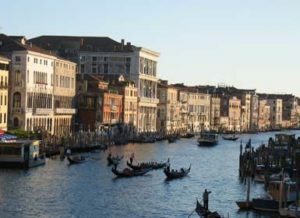 Enjoy a fabulous 3 night self-catering break for 4 in central Venice. You’ll be staying in the heart of this romantic city, in an apartment overlooking a very quiet and private Corte (with its 14th century well), yet only minutes from the bustling Rialto Bridge and the Market. A collectors set of Lake District Pound notes with the same serial number, that number reflecting a key date in the history of our National Park. You could own the full set of Lake District Pound denominations – LD£1, LD£5, LD£10 & LD£20. Each of the denominations will have the same unique Serial Number: 1951. 1951 being the year the Lake District National Park was founded. This will be together with a ‘Lake District Pound Storybook 2018’ exquisitely produced on James Cropper paper and telling the story of the LD£ and the 2018 designs. 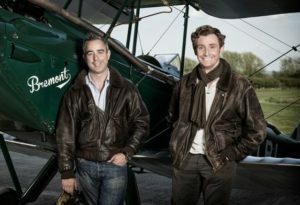 Bremont is an award-winning British company producing beautifully engineered chronometers at their headquarters in Henley on Thames, England. The prize includes a VIP behind the scenes tour with Nick and Giles and dinner, bed and breakfast at the luxurious Hotel du Vin on the banks of the river Thames in Henley. The Lake District National Park’s Field Rangers are offering one full day of their time to assist you completing a big job in the garden, land or perhaps your farm? You aren’t bidding for a team to come and cut your grass for the day rather use their skills and expertise to help with something you can’t do, for example stone walling?! The Royal Botanic Garden Edinburgh was founded in 1670 as a physic garden. 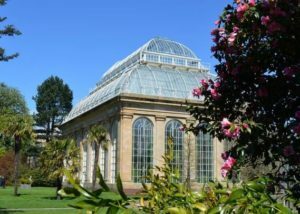 It is now a world-renowned centre for plant science, horticulture and education and extends over four Gardens (Edinburgh, Benmore, Dawyck and Logan) boasting a rich living collection of plants. You could have an exclusive behind the scenes tour with the Curator of the Living Collections followed by conversation over a delightful afternoon tea. Local Lake District artist, Alan Stones, is offering a framed original lithograph. 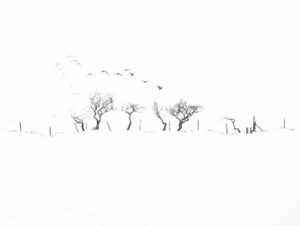 The picture is called ‘Over the Fence’ – hand made in May 2018 at Alan Stones studio at Blencarn in a limited edition of 85. You’ll be able to view on the night and you’ll beabsolutely enchanted. 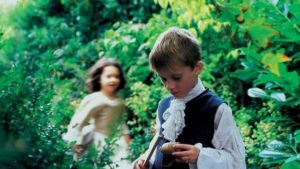 Theatre by the Lake in Keswick is offering a special package for two. Enjoy tickets to any performance this summer season, exclusive VIP backstage tour and a three course dinner for two. Enjoy a morning of indulgent luxury. You will be picked up by your own private chauffeur, from Lakeside Travel Services VIP Chauffeur service, driven to your yacht on Windermere where you’ll set sail for an afternoon on the Lake and an enjoy a sumptuous lunch with wine on board. Your chauffeur will return you home after your excitement on the water. 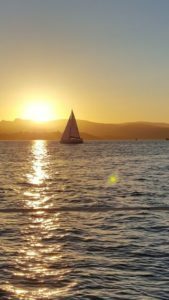 Your sailing experience will be with Sail n Dine. Bid now. For those of you who haven’t come across Herdy. Let us take a moment to introduce you. Herdy design and create unique gifts, homeware and accessories that make you smile. Born in the English Lake District and inspired by the area’s loveable Herdwick sheep, they also support sustainable rural community and upland fell farming projects through the Herdy fund. 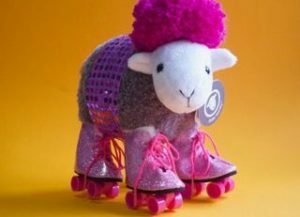 Herdy have created a bespoke 70’s disco Herdy especially to help raise funds for the Keswick to Threlkeld Railway Path! Bid now. Brian Fulton based in Keswick has over 35 years experience in the jewellery trade. Brian has become a Freeman of the Goldsmiths’ Company for his contribution to the goldsmith and jewellery trade and is a fellow of the Institute of professional goldsmiths. Brian, whose workshop was based in Threlkeld used to commute along the old railway path to Keswick. Brian has designed 3 bespoke bracelets to represent the bridges which were damaged during Storm Desmond, their old railway bridge numbers were 69, 71 and 73. Each bracelet will be auctioned separately. Did you know Whinlatter is England’s only true Mountain Forest? It’s home to stunning views, fantastic walks, exhilarating mountain biking, rare wildlife and adventure play! The team at Whinlatter are giving you the chance to bid on a special prize for two…. A Discovery Pass for Whinlatter, afternoon tea at Siskins Café and Go Ape session (High Ropes or Segways) for two people plus a voucher for the Visitor Centre! Enjoy lunch for two as well at the fabulous Cottage in the Wood just by Whinlatter Forest. Bid now. Lingholm Estate is traditional country estate that lies at the heart of the Northern Lake District situated on the Western Shore of Derwentwater. 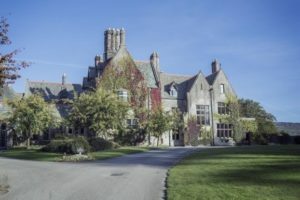 Central to the Estate is a grand Grade II listed Victorian house, built in 1873 by the prominent Victorian Architect Alfred Waterhouse with expansive grounds and stunning gardens. The Estate is offering an exclusive VIP tour followed by a scrumptious afternoon tea for two. Bid now. 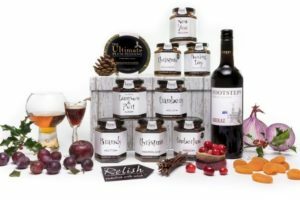 The Hawkshead Relish Company is an artisan producer of award winning preserves based in the historic village of Hawkshead in the heart of the English Lake District. The range of over 120 relishes, pickles and preserves are handmade in small batches using traditional open pans and locally sourced ingredients, without any artificial flavourings, colourings or preservatives, all are free from nuts and gluten and suitable for vegetarians. 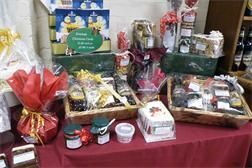 Get your hands on a tasty hamper not to be missed filled with Hawkshead Relish finest goodies! The Lakes Distillery is located next to Bassenthwite Lake. 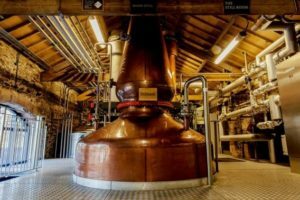 The team are inviting you to bid on a tour of the Distillery, afternoon tea for two and a fabulous bottle for the summer – The Lakes Rhubarb and Rosehip Gin Liqueur. Bid now. 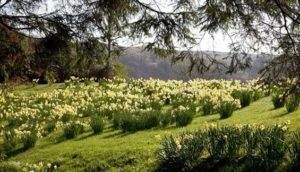 William Wordsworth ‘Daffodils’ poem beginning “I wander’d lonely as a cloud” is the quintessential Lake District poem. Born in Cockermouth, just north of the National Park, Wordsworth House and Garden was his childhood home. Wordsworth’s ‘Guide through the District of the Lakes’ published in 1820 sparked off the first beginnings of mass tourism to the area. Enjoy a tour of the house and gardens followed by afternoon tea. Bid now. Indulge in a case of Jennings beers – Cumberland Ale, Jennings Bitter, Sneck Lifter, Cocker Hoop and a hamper of tasty local produce. The Jennings beers are brewed with pure Lakeland, drawn from the brewery’s own well, and only the finest ingredients are added. The real art is in the brewing itself, where the Head Brewer and his team use their years of experience and traditional brewing methods to create a range of superb Lakeland Ales. 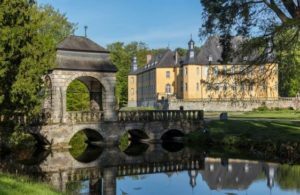 A special opportunity to experience a VIP tour of the Schloss Dyck Foundation located just outside Dussledorf in Germany and a luxury overnight stay with dinner at the Hotel Schloss Dyck on the grounds of the glorious stately home. Schloss Dyck is a dramatic moated castle which is regarded as one of the most important cultural monuments on the Lower Rhine. Built on four islands in the 17th century, the castle complex lies at the heart of the spacious park. Bid now. Rydal Mount, in the heart of the English Lake District, was William Wordsworth’s best loved family home for the greater part of his life from 1813 to his death in 1850 at the age of 80. 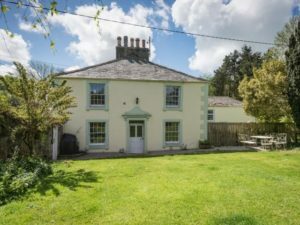 The house, which was a focus for romantic literature, continues to be owned by the Wordsworth family and retains the feel of a lived in family home. We have a special opportunity to bid for a signed copy of Wordsworth’s Daffodil poem. The copy is signed by Susan Wordsworth the Great, Great, Great, Granddaughter of William Wordsworth. Bid now. 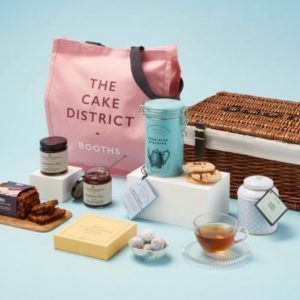 Delightfully indulgent, hand-picked and chosen with love, this charming afternoon tea hamper comes packed with our favourite tea-time treats. Enjoy an afternoon sipping fragrant Earl Grey tea and scrumptious strawberry and raspberry preserves from Rosebud, Bells finest fruit cake blended with seasoned spices and luxury chocolate chunk biscuits… perfect for dunking! A British tradition worth sharing with friends and loved ones. 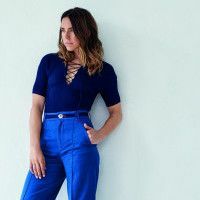 Keswick Mountain Festival has held back 4 tickets for Saturday 9th June concert with Mel C and The Farm. The tickets have now sold out so here’s your chance to get involved with the celebrations and support a superb cause! Lot 25 – Heart Radio – Bid now! Heart Radio is giving away a special prize for those budding radio presenters and super fans of the show. You could sit in on Heart drive time show, have a studio tour and walk away with fabulous merchandise! Bid now. Lot 26 -33 Keswick to Threlkeld Railway Path Oak Trees – Bid now! 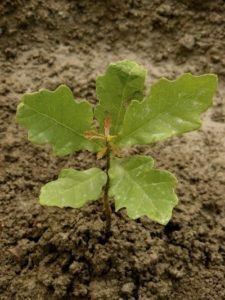 We are planting 35 oak trees along the Keswick to Threlkeld Railway Path. The Lake District National Park is offering up a special opportunity to bid for 5 trees at a time. We have 7 lots to offer 5 Oak Trees per lot. You’ll receive a plaque on the trees to thank you for your donation. Bid now! Lot 34 – Fell Top Assessor for the Day – Bid now! From November to March three Mountaineers summit Helvellyn to monitor, record and report on the weather conditions. Helvellyn is one of the most dangerous mountains to climb especially in winter conditions. The Fell Top Assessors job is to ensure locals and visitors summit safely and provide a ‘boots on the ground’ report on conditions. You can experience what it’s like to be a Fell Top Assessor for the day, climb the mountain, and produce the report and take over the social media for the day. Bid now. Lot 35 – The Quirky Coach – Bid Now! 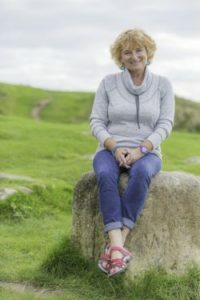 Zoe Dawes, known as the Quirky Traveller, is a local lady who travellers the world writing awe-inspiring blogs and provides expert business coaching. Zoe is offering a special business and life coaching session with a half day ‘walk n talk’ along the Keswick to Threlkeld Railway Path. Walking is good for your health; being outdoors helps you clear your mind, reflect, think differently, it gives you clarity and boosts creativity. You can decide what to get out of the session, an individual ‘walk n talk’ coaching session, team building or social ‘walk n talk’ whatever your preference Zoe is on hand to offer her expert advice for half a day. Bid now! 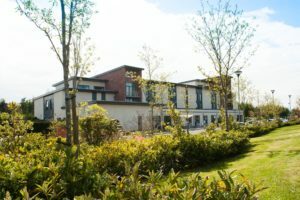 Lot 36 – Two night luxury break at Smiths Hotel, Gretna Green – Bid now! Carlisle Lake District Airport and Smith Hotel are offering a two night luxury stay in a Suite with full Scottish breakfast and a bottle of bubbles on arrival. The Smith Hotel is a superb 4 star accommodation, excellent 2 x AA rosette restaurant, an onsite beauty salon and just in case you were wondering, highly regarded as one of the very best wedding reception venues in the area. Bid now! 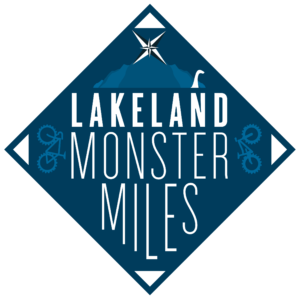 The original and the best, Lakeland Monster Miles is the toughest both physically and technically of all the Adventure Cross events, offering a full take of the best of Lakeland riding, and is a great way to end your Cyclocross season. Starting from Fitz Park in Keswick on 14 October, if you are up the challenge you’ve still got plenty of time to train, kindly sponsored by Rather Be Cycling and Sponsors Cycling Weekly and MBR. Sally’s Cottage is giving the opportunity to enjoy a midweek break at Rose Cottage in Lamplugh and Cumbria Life will help you unwind by offering a 12 month subscription. Lot 39 – Exclusive John Lewis Hotel Break and afternoon Tea at The Gaddum – Bid now! 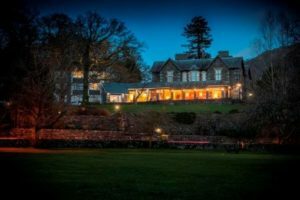 You are invited to enjoy a very special dinner, bed and breakfast experience at the John Lewis exclusive hotel in Ambleside. The hotel is normally reserved for John Lewis employees but they have generously opened their doors to help raise funds for the Keswick to Threlkeld Railway Path. To make your mini break complete, Brockhole’s newly launched restaurant is offering an afternoon tea experience at The Gaddum Afternoon Tea. Bid now! Another Place is the newest in the new collection of hotels designed to bring people together in exceptional locations. From the team behind Watergate Bay Hotel, Another Place on the shores of Ullswater is relaxed, convivial hotel from where you can explore the great outdoors. It’s a place for coming together round a table or fire pit, or for going it alone on a walk in the hills. It’s about days spent splashing about in the lake before drying out on a sofa with a book. It’s about the good things in life – having fun, eating well, letting go. Enjoy dinner, bed and breakfast and the next day head off to Holker Hall & Gardens for a day of fun and afternoon tea. Lot 41 – Short break for 4 in one of the Lake District Award Winning Parks – Bid now! Lake District Estates are inviting you to bid on a wonderful short break at one of their 4 award winning Parks in the Lake District. Take your pick from Woodclose Park, Kirkby Lonsdale, Waterfoot Park at Pooley Bridge or Hill of Oaks, or Newby Bridge Parks at Windermere. Bid now! Lot 42- Signed Sir Chris Bonington and Doug Scott poster – Bid now! Heart of the Lakes are giving you the chance to bid for a Spa Experience Deluxe for 2 people at Oxleys Spa at Underscar followed by a two course meal for four and a bottle of Wine at The Bistro at Underscar. The Lake District Foundation is thrilled to announce that it has received over £20,000 of donations for the Keswick to Threlkeld fundraising campaign over the last couple of weeks. The donations have been made by The Keswick Enterprise Holding Charitable Trust, Keswick Town Council and Keswick Bridge Complex. The Foundation was absolutely delighted to receive a cheque from The Keswick Enterprise Holding Charitable Trust who generously gave £15,000 in support of the fundraising efforts. The Chair of the Trust, John Harvey, heard about the campaign from the local news and was keen to back the fundraising drive. John said “I have enjoyed the beauty and pleasure of the railway path for many years when I visit Keswick. 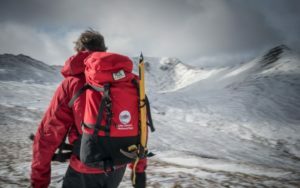 The scale of the fundraising challenge is daunting but I do hope our donation will bring the Lake District Foundation closer to the £300,000 target and hopefully encourage others who are yet to donate to do so”. The good news continued with confirmation of £2,000 donation from Keswick Town Council, who recognise that this trail is an important part of the local visitor economy and community. Similarly, £2,000 has been received from Keswick Bridge Complex. The contribution from Keswick Bridge Complex came from the Keswick Bridge Appeal, Robert Duncan, Manager explains “Since Storm Desmond hit we’ve asking our guests to help get the path back up and running by making a donation to the cause. We are so pleased to help with our contribution and looking forward to seeing the path fully connected soon”. The Lake District Foundation celebrations continued after a successful fundraising weekend for the Keswick to Threlkeld Railway Path raising over £1,500. Hundreds took part in the special K2T Challenges set by the Foundation. The Lions and Rotary volunteers were out in force over the weekend leading on the street collections and took donations from successful 5km challengers. 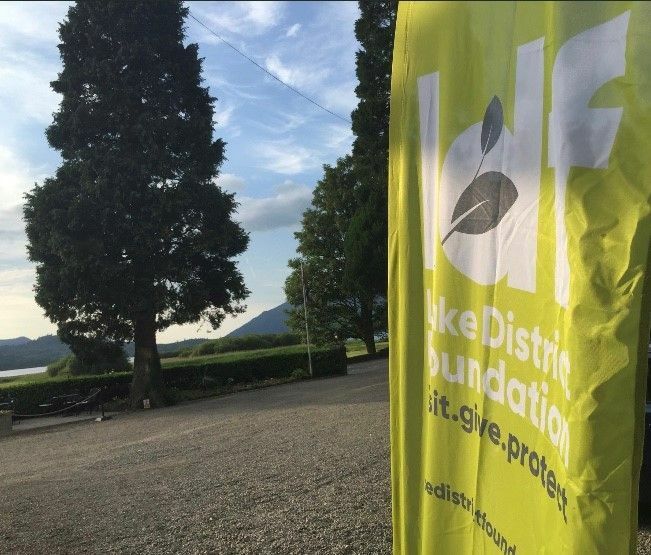 The Lake District Foundation, formerly Nurture Lakeland, is the charity raising funds to protect and conserve the Lake District National Park. Sarah Swindley, Director, explains why the foundation is pleased to be supporting the Keswick to Threlkeld campaign, saying “We are delighted to be spear-heading the fundraising campaign, raising awareness and engaging visitors, locals and the business community to donate to the project. The foundation aim is to encourage those who visit the Lake District to help us to protect and give something back. The path, is hugely popular with locals and visitors to the Lake District alike, has been hugely missed since being extensively damaged in the storms of December 2015. It’s wonderful to see donations coming in from the community, businesses and visitors and we thank you all for your generous support”. The Lake District Foundation have set up a number of ways for people to donate, either via their Just Giving Page, by texting ‘KTOT £10’ to 70070 or by cheque addressed to the Lake District Foundation. All donations are welcomed big and small as they all count to help reinstate the path. You can keep up to date with the campaign by visiting lakedistrictfoundation.org. The Lake District Foundation is celebrating after a successful fundraising weekend for the Keswick to Threlkeld Railway Path. Over £1,500 was raised over the weekend and hundreds took part in the special K2T Challenges set by the Foundation. The Lions and Rotary volunteers were out in force over the weekend leading on the street collections and took donations from successful 5km challengers. The K2T weekend was aimed at engaging everyone who was visiting Keswick over the Bank Holiday to get outside, enjoy the great weather, try out one or more of the five different 5km routes suggested by the Foundation and make a donation to the fundraising drive to reinstate the Keswick to Threlkeld Railway Path. Heather Askew, Fundraiser for the Lake District Foundation was delighted with how the weekend went and wants to see this support and awareness continue over the next couple of months. Heather said “It was fantastic to speak with so many people over the weekend and hear everyone’s personal stories and memories of the railway path. Everyone we spoke with was keen to back the campaign and give the 5km challenge a go if they could. Don’t worry if you missed the weekend, the K2T Challenge can be done anywhere at any time! So you can still get outside, complete 5km, donate £5 (text ‘KTOT18 £5’ to 70070), and nominate five people to take on the challenge too”. For details about all the events, visit lakedistrictfoundation.org. A host of outdoor legends are throwing their weight behind a major charity event this June aimed at restoring a well-known Lake District trail decimated by Storm Desmond. 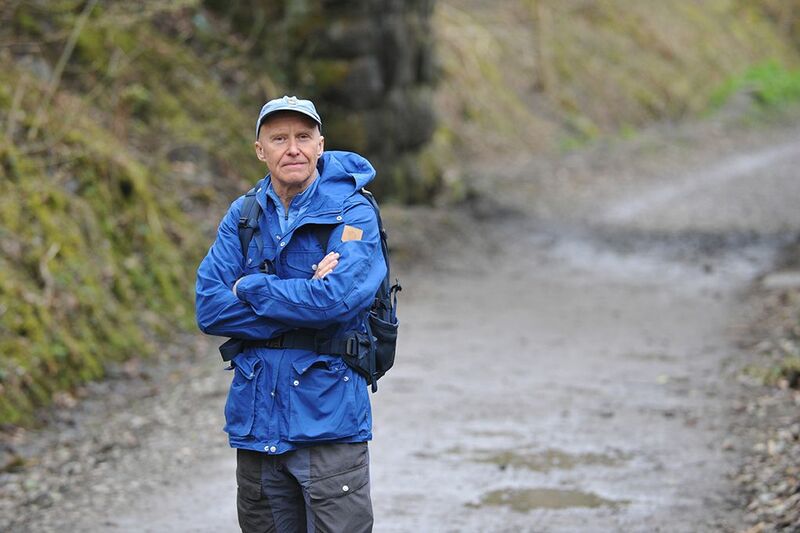 Climber Alan Hinkes, runner Ricky Lightfoot and adventurer Sean Conway are all offering ‘money can’t buy’ experiences as part of a charity auction being arranged by the Lake District Foundation next month, to raise vital funds for the Keswick to Threlkeld Railway Path. The event on 8 June 2018 at the Lodore Falls Hotel in the Borrowdale Valley aims to help raise the £3m needed to reconnect the route for cyclists and walkers, after two old railway bridges and around 200 metres of path surface were washed away by the ravages of the weather in 2015. 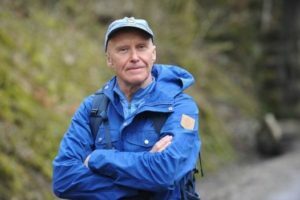 A day on the Lake District Fells with Alan Hinkes, OBE, who is the first Briton to climb the world’s highest mountains, the fourteen 8,000m peaks. 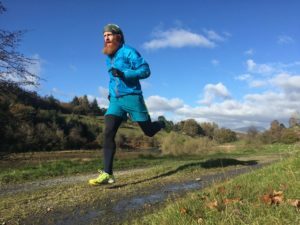 A fell-running experience with Ricky Lightfoot, one of the top trail/mountain runners in the world. 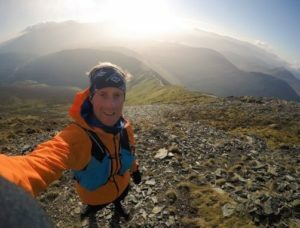 A former World Trail Running Champion from the Lake District, Ricky holds the record on several iconic races across the world including Mauritius, South Africa and the Scafell Pike. Adventure day with Sean Conway, who is best known as the first and only man in history to cycle, swim and run the length of Britain. In 2016 he completed the world’s longest triathlon, a 4,200mile journey around the coast of Britain. Other prizes up for auction range from bespoke jewellery designed and made in the Lake District to two fantastic VIP garden tours, at the Royal Botanic Gardens of Edinburgh and the European Garden Heritage Network at Schloss Dyck in Germany. Tickets for the event on 8 June available online: they are £50 per person or you can take a table of 12. Since Storm Desmond in 2015, around half of the Keswick to Threlkeld Railway Path Multi User Trail (MUT) has been out of action, impacting on thousands of local people and visitors who enjoy the route every year. The Lake District National Park (LDNP) prioritised reconnecting this route, however it is a complex, major project that required significant work. Through 2016-17 LDNP secured as much alternative access for users as possible and carried out detailed design and consent work, funded by Highways England. In December 2017, LDNP announced a major funding boost and significant step forward, thanks to a £2.5 million grant from Highways England and a partnership with the Lake District Foundation (formerly Nurture Lakeland) to jointly fundraise the balance of around £3m. To help us reconnect this route, donate today by visiting lakedistrictfoundation.org/keswick-to-threlkeld, or text ‘KTOT18 £5’, or ‘KTOT18 £10’, to 70070. For more information about the auction or to donate an experience, contact Caroline Hoppé, at the Lake District Foundation on [email protected] / 01539 822622. 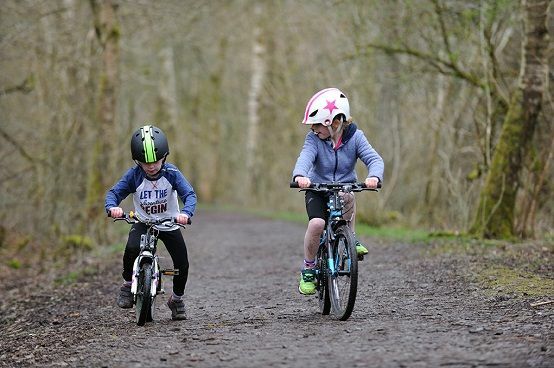 The Lake District Foundation is holding a special K2T Challenge 5-7 May in Keswick to raise funds to reconnect the Keswick to Threlkeld railway path. Over the early May bank holiday weekend the Lake District Foundation team will be encouraging visitors, locals, businesses and sporting clubs to complete a 5km challenge and donate £5, all part of the fundraising campaign being delivered by the charity. The K2T Challenge was launched in March inviting everyone, no matter where you are in the world, to complete 5km, donate £5 (text ‘KTOT18 £5’ to 70070), document the attempt either by a photo or quick video, nominate five friends to take on the challenge and share via social media using #K2TChallenge. Since its launch, hundreds have taken part in various disciplines including a couple ski-touring in the Alps who then made a donation. Heather Askew, Fundraiser for the Lake District Foundation notes the challenge is open to everyone. Heather said “The challenge is about completing 5km anyway you like, walk, jog, cycle – it doesn’t matter how long it takes, it’s simply completing the 5km distance. We hope the routes we’ve put together for this special weekend will encourage more people to give it a go, donate and spread the word”. The charity team will be supported by volunteers from Lions and Rotary to carry out the street collections on the weekend and take your donations for your 5km challenge. 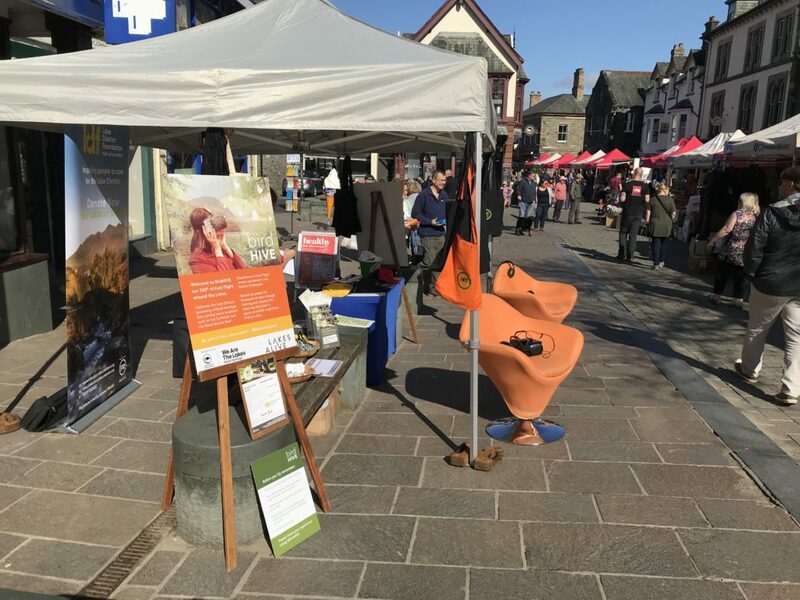 In addition, look out for the Lake District Foundation stand in Keswick Town Centre as they’ll be offering an exciting virtual reality experience of flying through the Lake District which is not to be missed and selling special branded t-shirts and bags donated by Lakeland Embroidery. The local community is bursting with energy and excitement to support the fundraising campaign to reinstate the Keswick to Threlkeld Railway Path. Last week saw the first in a series of community events take place in Keswick and Threlkeld raising nearly £4,000. The Big Fat Community Quiz organised by Cake & Salad and Podgy Paws in Keswick raised £1,700 and a benefit gig at Threlkeld Village Hall raised £2,000. Over 150 locals attended both events wanting to support the fundraising efforts. Chris Harper, Owner of Podgy Paws said she was overwhelmed by the amount of support for the quiz: “When Jess from Cake & Salad and I put the call out locally we couldn’t believe how many businesses came forward to offer prizes. It was superb! And when we started selling tickets, again, we were blown away by the responses, as all the tickets were sold in a week. We were thrilled with how much was raised and quite simply, it was good old fashioned fun for a cause close to all our hearts”. For those who couldn’t make the first two events there will be plenty of opportunity to get involved with various activities over the next couple of months. The Hope Park Games and Cafe are holding ‘K2Tee Off’ competition on Thursday 17 May which will be an optional fancy dress competition. Viki Mallaghan explains what the event is all about; “We wanted to do our bit for the K2T fundraising drive, but thought we’d do something a bit different. It’s a fundraising golf competition on our 9 hole Pitch and Putt course. Teams of 4 are invited to take part and fancy dress is encouraged! The first team will set off at 5pm with the rest of the teams staggered at 10 minute intervals. Pre-booking is essential”. To get involved it’s £10 per person and prizes will be awarded to the winning team and the best dressed. The Alhambra Cinema is planning a talk and film showing by Sean Conway on Thursday 7 June. Sean Conway is the Lake District Foundation Ambassador who now lives in the Lake District. Sean is the first person to cycle, swim, and run the length of Great Britain and holds the record for the world’s longest triathlon, a 4,200 mile journey around the coast of Britain. Sean will be telling stories about his running adventures and his latest world record attempt a 4,500mile cycle challenge from Portugal to Russia in under 26 days. Supporting the community activity the Lake District Foundation are organising a couple events for all to get involved. Firstly, the K2T Challenge weekend over 5,6,7 May where the team will be in Keswick for the weekend encouraging everyone to complete 5km, donate £5 and nominate five people to take on the challenge too. There will be five different 5km routes to choose from and you can make your donation on the day with the street collection teams on hand from the Lions and Rotary Clubs. The second event coming up is an exclusive ‘money-can’t-buy’ auction on 8 June at the Lodore Falls Hotel. The auction will have 50 lots made up of unique experiences and special prizes from all over the world. It is set to be a fabulous evening and with support from the oldest auction house in the area, PFK Auctions, the auction is in very safe hands. Two of the old railway bridges that crossed the River Greta were washed away, one bridge was left at risk of collapse and around 200 metres of the path surface disappeared into the floodwaters. The Lake District Foundation is hosting an incredible ‘money-can’t-buy’ auction to raise funds for the reinstatement of the Keswick to Threlkeld Railway Path. The auction will be held on Friday 8 June at one of the finest hotels in Cumbria, the luxurious Lodore Falls Hotel on the shores of Derwentwater in Borrowdale. The evening will offer the opportunity to bid for exclusive ‘money-can’t-buy’ prizes and experiences. Guests will enjoy a scrumptious four-course meal in the company of a number of national outdoor legends, whilst raising funds for a path with local and national interest. The auction is set to be an incredibly prestigious event, especially with support from one of the oldest auction houses in the region, PFK Auctioneers who will be running the bidding on the night. 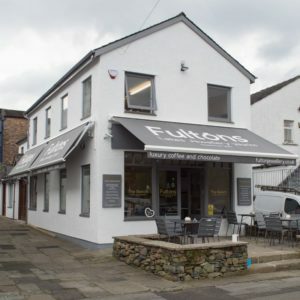 Michael Roberts, Manager of PFK Auctioneers said “We have a long history of hosting successful auctions and with over 140 years’ experience we know the auction planned for the Lake District Foundation will be exceptional. We are confident the lots on offer will be of interest to all walks of life and are excited to be part of the evening to raise funds for a much loved and well used Lake District path”. The prizes on offer will provide unique experiences and magical moments you never thought possible, to be shared with family and friends as surprises, gifts and treats. The most important part of the event is that the funds raised all go support the fundraising campaign for the Keswick to Threlkeld Railway Path. Tickets are £50 per person or you can take a table of 12 and can be purchased at https://k2tcharityauction.eventbrite.com. If you would like to offer a prize or have any questions contact Caroline Hoppé, Campaign and Event Manager from the Lake District Foundation via [email protected] or call 01539 822622. Keswick and Lake District businesses are coming out in force to support the Keswick to Threlkeld Railway Path reconnection. 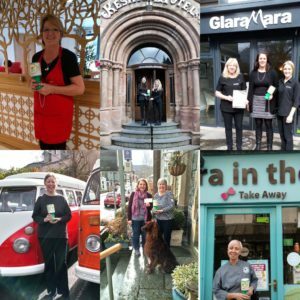 Over 50 local Keswick businesses from shops, cafes, attractions, hotels and camp sites have already signed up as fundraising campaign partners and more are coming on board every day. They are armed with donation boxes, posters and flyers all at the main reception desks and check outs to raise awareness and encourage donations from visitors and locals. Promoting the campaign via local businesses online channels is crucial too to help spread the word and unlock further donations. Keswick Tourism Association has done exactly that, supporting with enewsletters to visitors, website information and social media sharing. 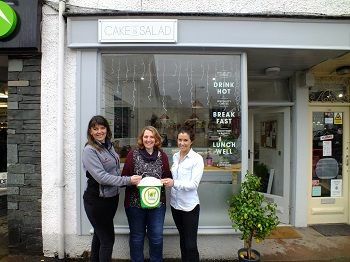 Many businesses are planning additional fundraising activities as well, including local pet shop, Podgy Paws, working with takeaway café Cake & Salad are holding the Big Community Quiz on the 13 April, 7pm in the Back Bar in Keswick. Whilst both The George on a Tuesday night and The Packhorse on a Wednesday night are currently holding their weekly quizzes in aid of the fundraising. 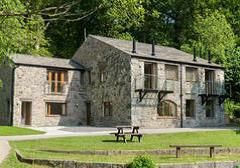 The Threlkeld Village Hall will be holding a benefit Gig on 14 April, 8pm and the Lodore Falls Hotel is working with the Lake District Foundation on a charity auction evening on 8 June. The K2T Challenge has picked up pace with local businesses getting behind the challenge and promoting via social media, including local mountaineering company, ’More than Mountains’, which completed the challenge on skis during the snow over the last couple of weeks. Businesses are also digging deep, providing raffle prizes and giving direct donations. 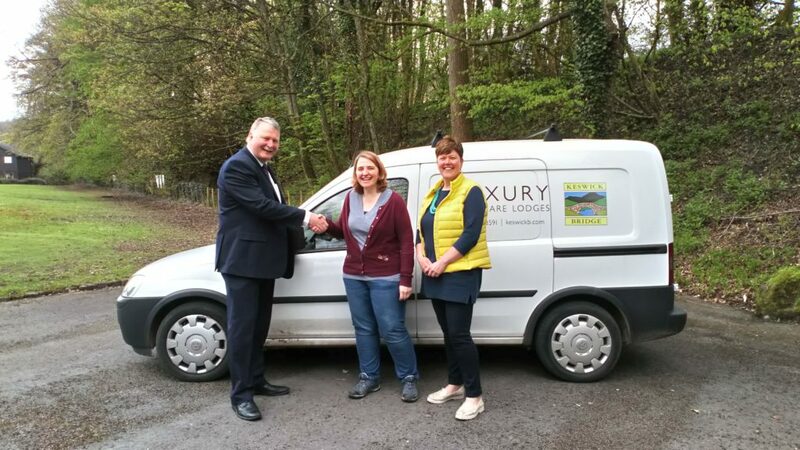 We’ve already received donations from Threlkeld Parish Council and Keswick Rotary earlier this month and we are delighted to have received £300 from Sally’s Cottages in the last week. Heather Askew, Fundraiser for the Lake District Foundation, is absolutely delighted with the business support so far but wants to encourage more businesses to get involved. Heather said “We are thrilled with all the businesses backing the fundraising campaign and want to say a massive thank you in advance for your support. We’ve also launched a fundraising toolkit to make it easier to get involved: head to the Lake District Foundation website and you can download your own poster, leaflets and see further ideas on fundraising initiatives”.